Gently pressing her nose into the soft fur of the snowy hued pup. Shadow could almost feel the pup's agony radiating off in waves from the petite frame but she had to part from the creature, she sensed something off in the air. Lifting her cranium, the femme's glacial pooled orbs looked up to catch the familiar golden pelt. 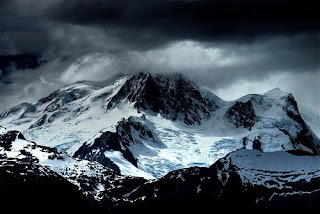 Cautiously padding forward, Shadow felt the cold blankets of snow brush against her paws as she moved away from the den's structure and toward the towering forests. Against the darkened hues, the golden brilliance was difficult to skip over. "How are you on this day?" Shadow asked as she approached. Drawing closer, the femme dipped the crown of her head toward her fellow Proti in a respectful greeting. As Daniel approached the Koti Den, the female was abruptly stopped by a snowy female. "Ah, greetings Shadow. Not much, just... talking with Sideswipe." She responded with a shrug, trying not to look like anything had happened between them. "How about you?" She stalled, just in case Shadow asked further questions. Brightbane sight is altered as she spots an white fea walking from the spot. Highly curious, Brightbane swiftly follows, and great grin stretched on her face as she followed. She stops as the white wolf started chatting with the brown wolf from before. Almost forgetting about the wolf tackling her, she smiled and sat in the sidelines, so they could choose to notice her or not. The Proti seemed rushed, attempting to avoid a conversation of any depth. Shadow curiously observed the golden adorned fae, curiously analyzing each movement of hers. "Been tending to the mourning pack or at least attempting to subside the sorrow," the femme replied rather blankly. She did not desire to return to the pack so soon, to be succumbed into the watchfulness that is the sorrowed. "Not a pleasant conversation?" She inquired, "or perhaps one that ought to lift your spirits?" Tilting her head to the side ever so slightly, she offered Daniel a rather sly smile giving away the fact she was not going to let the matter drop. Out of the corner of her vision another pelt appeared, another wolf had joined but wisely chose to keep back. 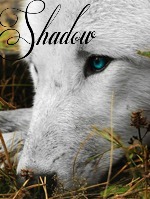 Giving the wolf(Brightbane) no sign of greeting, Shadow hoped to receive the answers she sought before another matter intruded. Daniel ignored Brightbane. She already had a great disliking of the cheery female. She just shrugged and shuffled her paws, avoiding her friend's gaze. "It wasn't anything special." She lied, murmuring. The creamy-golden fae didn't really know how else tocover it up. By the sly smile Shadow gave her, the female knew the conversation wouldn't be dropped until her fellow Proti got some real answers. A simple act of looking away gave the golden hued fae away. "Oh come on Dani, drop your barriers for once and do tell of this conversation," Shadow pressed, still smiling slyly. Stepping closer, the femme gently nudged her companion's shoulder. Using her frame as a barricade, Shadow moved to block Daniel's escape to the den site despite the fact that it currently was not the brightest place to skip off to. Daniel shuffled her paws. "But Shadow, it's really not a big deal. "[/bL She protested, trying to go around Shadow. She would probably go past the Koti Den, because obviously going to it would be a bad idea. [B]"It was just a talk." She insisted. Like a pup playing, Shadow ghosted Daniel's movements, determined to keep the fae from the den. "If it was truly a small matter you would not be protesting so," she pressed, attempting to catch Daniel's gaze. A flicker of worry sparked within the femme, what had happened to her companion that unsettled the golden fae so. Had the conversation truly been just an exchange of harsh words strapped tight on a harsh whip? "He said he likes me, okay?" She snarled, shoving Shadow out of the way. "It's none of your business. I'm tired of you and Siren either telling me I need someone or trying to make me make more friends. I can do it myself!" She snapped angrily. Forced to the side, the physical movement sent a tension through the femme's frame and instinctively a low growl rumbled in her chest betraying her fury. Folding her ears back, Shadow's upper lip curled revealing her gleaming incisors. "I never uttered such words to you," Shadow snarled, her rage festering like a fire within her. "How dare you accuse me of words I spoke not, nor thought to weave together." Turning her flank away from Daniel, Shadow faced the golden fae. The fur along her spine bristled and her tail lashed sending up a misty spray when her banner struck the resting blanket. "If you believe you can do everything on your own then go quarrel with those who truly alight it." She spat, the low growl breaking her sentence off. Daniel spat back: "Like you and Siren?" By now she was spitting with rage, but is slowly began to ebb away after a moment. Her tail and ears drooped as she lowered her eyes. "I'm sorry, Shadow. I've just never ad anyone to confine in." She explained wearily. Shadow's optics narrowed as Daniel spat in return to her words, the golden hued fae was asking for a fight almost tempting Shadow to lash out. Almost as soon as Daniel's fury sparked it died, extinguishing itself altogether. The sudden twist in emotions seemed unreal to Shadow, she had hardly seen an individual switch so swiftly. "It is fine," the femme replied her voice loosing it's warning growl and softening. Allowing her tensed frame to relax, the fur that rose slowly returned into a smooth sheet of ivory adorning the femme but her guard remained up. She was unsure f what emotion might strike through her companion and cause a swift alteration. "He likes you," the femme repeated softly hoping not to trend upon another mine. "Do you like him in return?" Daniel opened her mouth to reply, but nothing came out. "i think so..." She replied uncertaintly, sharugging her shoulders. "Anyway, what about you? Anyone caught your eye?" She teased. "I told you, now you tell me!" "Ooo, this shall be an adorable sight to witness," Shadow spoke, nudging Daniel playfully. Despite the fact she never paid much attention to other's love lives, Shadow felt pleased that her companion had found one of her own. However, as Daniel's words struck Shadow's lobes, the ivory hued femme paused. "I honestly am unsure," the femme replied truthfully. The emotion, the depth of the bond, was unknown to her. It was not something she had ever been encouraged to seek for or experience. "Even if a brute enticed me I fear I would not recognize the signs," as Shadow spoke her tone seemed to become hushed like a whisper on the wind. Dark had growled from the darkness after hearing another order, before closing his eyes and laying his head down. He later woke up to see everything had pretty much calmed down from the look of it. The massive, scarred male got up onto his paws and stretched. He padded out from the darkness and began to do his usual patrolling. His tail dragging across the snow as he began to mutter and growl to himself unconsciously. Dark's claws sunk into the ground with each step he took, unaware of how tense his body was. Brightbane squinted her eyes angrily noticing they were ignoring her. Brightbane hated to be ignored, but she guessed they could care less about if she feels ignored or not. She sighed dramatically before noisily walking away, her tail perking high in air as she entered back into the scene with the body on the ground and upset wolves surrounding it. She smiled hopefully and thought about what her old pack would be doing right now. Arrow walked through the packs clearing. He felt like something very bad happend when he was gone. He looked around with a dull susption green gaze that rested on everyone he seen. Whining did he try to make sense out of what happened. Seeing Daniel did he walk to her and ask. "What happened... somethings not right..." He whined and waited for a reply. Looking around did he see Rads dead lifeless body on the ground. His body froze in pure anger, deep grief, confusion, and shock. Growling did he get up and shove his way to stand over his dead friends body. "Wake up... Wake up Rad, you gotta wake up!" He barked out his loss and he nuged the cooling body. "Wake up!" He howled not careing if he looked like a pup trying to wake his mother. "Who did this?!" He whirled around and growled as his eyes blazed with madness and grief. a green fire blew right from the spark to the flame to the blazing enraged fire. "Someone tell me!" He howled as his hackles raised and teeth bared at his own pack. He was shacking with anger as he waited for a reply. Amethyst looked over at a few wolves mourning and whining because of a dead body on the ground. Even her mate was beginning to get worried. The smell lingered over to her nose and she took a whiff of the scent. It smelled very familiar to her... Like... Like a friend of hers. "It smells like death..." Amethyst said to herself in shock. She ran over to where the incident was. There, laying on the ground, was a dead wolf carcass that looked a lot like Rad. She looked over at her mate and a sad expression came to her face. She put a paw on Rad's cold dead body. "She's... She's dead... She's gone forever... Oh... Oh my gosh...". Tears came to the fae's gold eyes. She carefully leaned onto Arrow's right side, trying to comfort him and herself. "Rad's in a better place now... She's with the other wolves that have died in the past...". Commotion came across her mind as she perked her ears at shouting and panicked screams for help. Amethyst quickly looked over and saw her Proti friend, Daniel, holding an injured wolf, yelling for a Celete to arrive on the scene. She gasped to find that it was a newcomer. "What happened?" she asked in a raspy tone, her throat a little dry from crying. She stared wide-eyed as she waited for a reply from someone. Brightbane looked over to see two new wolves coming over to mourn. She sighed, why did she happen to come in an time in grief? Looking at the two wolves, she thought about how the wolves here don't like any kind of happiness, at least at the moment. I have to do something! She thought as she quickly jumped up and walked over to the two wolves, but a little bit away so they can't tackle her like that light brown wolf did (Daniel) "I don't know what happened, daniel found her lifeless on the ground. I did too, but don't tell her that" she paused for an second before continuing "Perhapes you two can check her body for any signs of violence or whatever"
While the male had been waiting for someone to tend his wound, he had fallen asleep, his head lazily resting on his paws, and his ears pricked upwards as he listened to the paw steps of wolves moving around the den. Suddenly, he awoke, and peered around at the unfamiliar area. 'Wh-where am I?' He thought, wide eyed. All of the events that had happened earlier then came back to him, and he placed his head back on his paws with a sigh. '...I remember now.' His orange-yellow eyes flickered to his painful shoulder. He felt bad for bothering the kind female, and wished he had ran off instead of asking for aid. 'What.. what was her name? Dan... Dan.. uh.. Daniel? I need to thank her before I leave...' Even though his wound had not been treated by a Celete or any kind healer, the male had decided to leave and find help else where, since it seemed no one who could help was around currently. He allowed a yawn to escape his lips, and then stood up, cringing when he felt his shoulder protest to the sudden movement. The brown wolf began to look around for the cream she-wolf. Daniel twitched her ears and departed from Shadow without another word.She was lost in her own little world at the moment. Seeing Nathan though, she snapped out of it. Guilt immediately flooded her. "Oh, right! I'm so sorry Nathan, but out current Celetes are no where to be found." She apologized, looking flustered. Rennah tilted her head to the side, taking in her surroundings. A silent stillness had fell over the den area, only small chatter and the sounds of grieving filled the air. Her eyes were dull and the rare Rennah smile hadn't shown since the death of Rad. She didn't know the older wolf at all but all the mourning had worn down her emotions to the core. Her shoulders carried the burden of the pack's pain, and she would take it all if they let her. The pup sighed and looked around for someone to help. She wanted to help the wolves of the pack somehow, help them to smile again, but she knew this would not happen for a while. 'it takes time.' she thought to herself. When he heard the gentle crunch of snow against paws, he turned his head, and pushed back his ears when he saw who it was. "Oh, right! I'm so sorry Nathan, but out current Celetes are no where to be found." Daniel said. He allowed a sigh to escape his maw, and then he began to shake his head left and right. "No, no... it's okay. I guess I'll be leaving shortly anyway..." He responded. 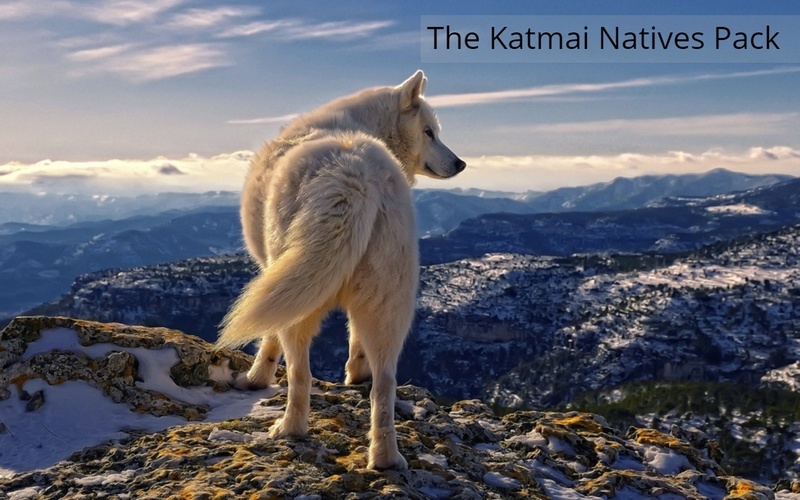 Nathan found his eyes flickering towards the other wolves that were sitting in the clearing. They all looked depressed. The death of one of their pack members was clearly effecting all of them. He lowed his head, and shuffled his front paws around in the snow, being careful not to disturb his shoulder. The pup padded gently over to a frozen patch of ice unconcealed by the growing heaps of snow. She looked into the ice, admiring the blue opal pools that were her own eyes. It was only recently that she had noticed her eyes' color. About a half month ago, she looked at herself for the first time since she was a very small pup and her own image shocked her. "Isn't it funny how people grow?" She thought. Not two months ago she was a brown little pup with stubby legs and greyish blue eyes. Rennah angled her cranium, getting a side view of herself. Her white fur lacked any change in hue or dark spots. She smiled and scampered across the small ice patch, purposefully skidding. She slid into the snow bank and giggled.